How Risky Is A Live Liver Transplant? Thousands of Americans die within one year of waiting for a liver transplant. In many cases, live liver donation seems to be a solution to the organ shortage. But in a few cases, the procedure that removes part of a healthy donor's liver and transplants it into a sick patient has had some deadly consequences. Vickie Hurewitz says her 57-year-old husband Mike was healthy when he volunteered to donate part of his liver to his ailing younger brother, Adam. Tragically, Adam recovered but Mike did not. He died on Jan. 13, 2002. Mike was the first liver donor to die at New York City's Mount Sinai Hospital where the transplant was performed. A subsequent New York State Health Department investigation led to an indefinite ban on the procedure at Mount Sinai. Hurewitz is suing Mount Sinai and six doctors claiming that negligence, carelessness, and malpractice led to her husband's death. She also says her husband was not properly informed about the risks he faced from the surgery. Mount Sinai's claims that their autopsy report found Mike's body ridden with bacteria that led to his death. However, Hurewitz disputes that claim and maintains her husband death was linked to the live liver transplant. She is lobbying for a national moratorium on the procedure until it can be put through retroactive clinical trials and rigorous study. She recommends cadaver liver transplant for those seeking a healthy liver. In living donor transplantation, a piece of liver is surgically removed from a living person and transplanted into a recipient, immediately after the recipient's diseased liver has been entirely removed. Living donor liver transplantation is possible because the liver — unlike any other organ in the body — has the ability to regenerate, or grow. Regeneration of the liver happens over a very short period – possibly days to weeks. Reports have quantified the risk of death by the surgery at 0.5 percent to 1.0 percent. Other risks of live liver transplant are infection, pneumonia, blood clotting, allergic reaction to anesthesia and injury to bile duct or other organs. Vickie Hurewitz says she believes the risk of the surgery is high enough to warrant attention. She attended the American Council on Organ Transplantation, the National Committee for Quality Health Care and met with Washington, D.C., lawmakers to discuss organ transplantation issues. Currently, 18,710 people in the United States are on the waiting list for liver transplants, according to the United Network for Organ Sharing, which controls the allocation of cadaver organs. Fewer than one-third are likely to get transplants this year. 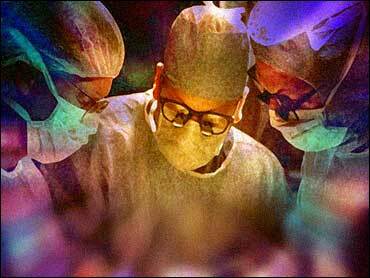 In 2000, the latest year for which figures are available, 4,954 people got liver transplants. In 1999, 1,756 died waiting.